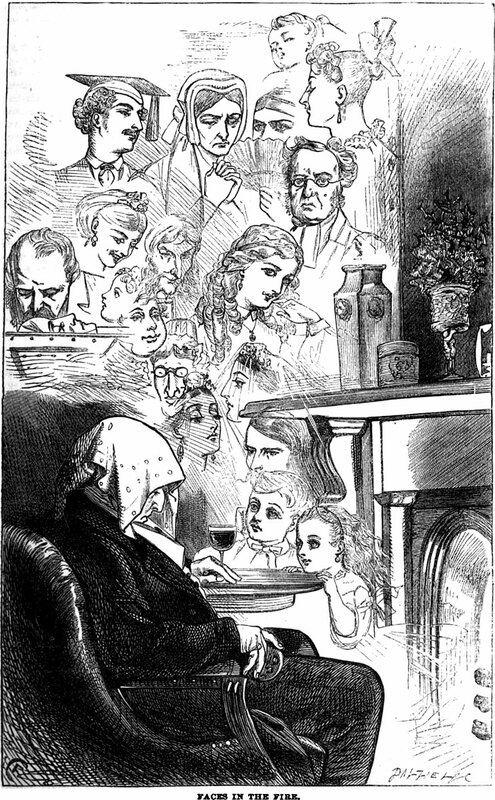 An illustration from an 1876 issue of Arthur's Home magazine. (It also appeared in Beadles Monthly, 1866.) The caption reads: "Faces in the Fire."